Alongside the plants brought from the tropical Pacific, it is thought that Māori cultivated at least a handful of New Zealand plant species. 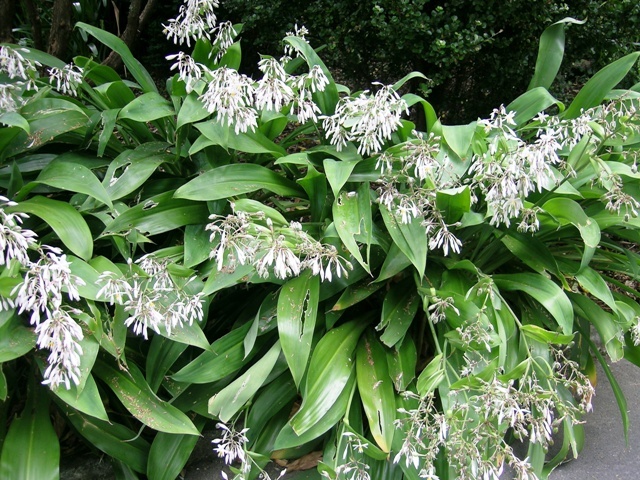 Massey University’s Lara Shepherd is investigating several such plants: karaka (Corynocarpus laevigatus), rengarenga (Arthropodium cirratum), and whau (Entelea arborescens). Ripening fruit of karaka. 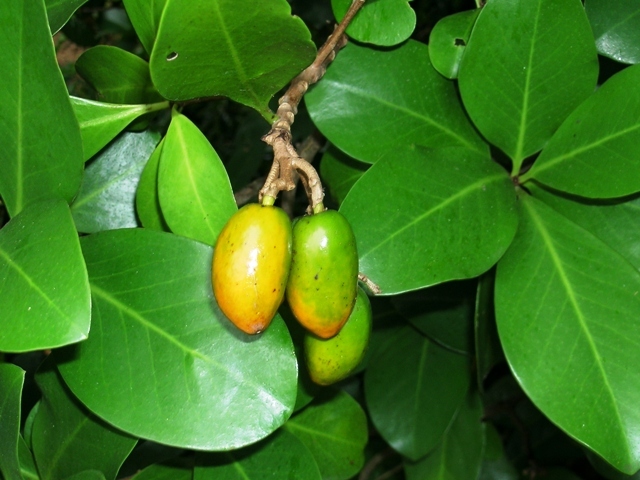 Karaka is a medium-sized tree, and its fruit was an important food source. However, the kernel inside the fleshy fruit is deadly poisonous, and substantial, careful treatment was required to detoxify it. © Leon Perrie. Karaka in Te Papa’s Bush City. Karaka, rengarenga, and whau are all only found in New Zealand, and all are thought to have pre-human distributions confined to the northern North Island. Lara is using genetic analyses to reveal where the populations in the southern North Island and northern South Island have been sourced from. I recently accompanied Lara on a trip to a coastal site in the southern Wairarapa where all three species occur. We were particularly pleased to find that the rengarenga population is large and thriving. A few, localised populations of rengarenga are scattered around the southern tip of the North Island, but there is a big gap on the eastern coast where the nearest population to the north is near Hastings! Southern Wairarapa rengarenga. © Leon Perrie. Rengarenga is thought to have been cultivated for its edible rootstock. Today, it remains popular in gardens, albeit as an ornamental rather than a vegetable. 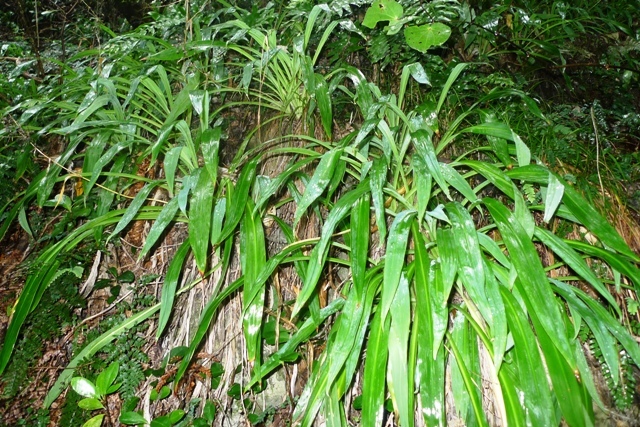 However, the more robust Arthropodium bifurcatum, with erect and broader leaves, is probably more common in contemporary cultivation than Arthropodium cirratum. Arthropodium bifurcatum is much rarer in the wild than Arthropodium cirratum, with natural populations only in northern New Zealand and mostly on offshore islands. A third, much smaller species, Arthropodium candidum, is widespread through New Zealand’s forests, but easily overlooked. Arthropodium bifurcatum in a garden at Victoria University. © Leon Perrie. A few of Te Papa’s collections of Arthropodium. Whau is a very distinctive small tree, with large, heart-shaped, and thin leaves. It also has spiky fruit. These features make it look out of place amongst New Zealand’s flora! 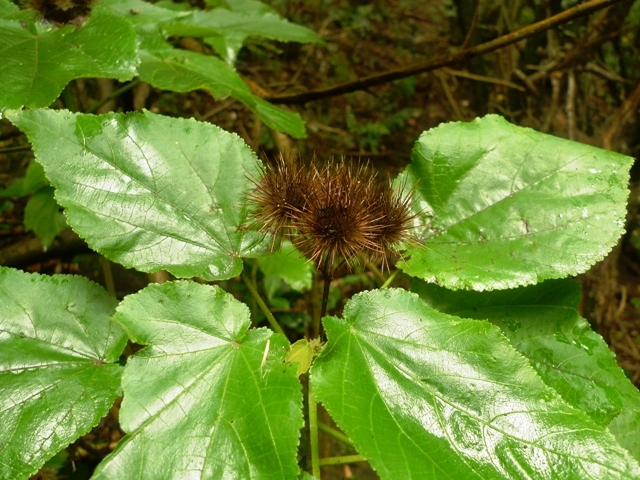 Whau is thought to have been cultivated for its wood. Being lighter than balsa, it makes good fishing floats. Southern Wairarapa whau. © Leon Perrie. The site we visited was low forest on a steep, coastal hillside. 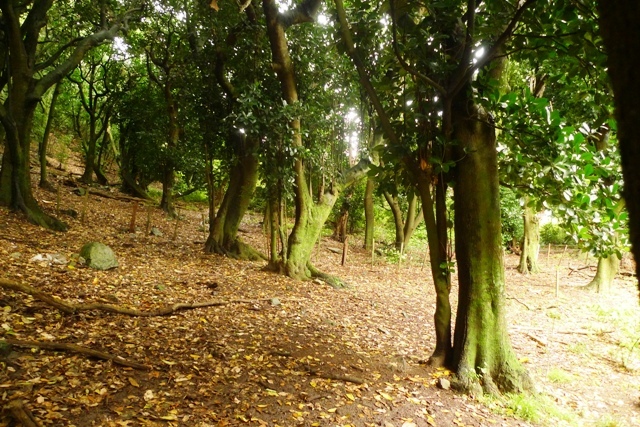 The toe of the slope is dominated by large karaka, almost to the exclusion of anything else in the canopy. Although I don’t have an archaeological eye, it very much seemed that this was an extensive planting, rather than natural forest (or regeneration). This grove has borne witness to massive cultural and biological change in the past two hundred years ago, from when it was likely an important food source for tangata whenua. Fortunately, the site is protected by a QEII covenant, with fencing and possum control. Southern Wairarapa karaka grove. © Leon Perrie.